Why don't Mormons Wear Crosses? Why don’t Mormons Wear Crosses? A personal answer from Terrie. Latter-day Saint military chaplains in uniform are required to wear the cross, as a representation of their faith category. Other Latter-day Saints do not, because we focus on the Living Christ. Had the Savior merely died, and not been resurrected, He would not have been our Savior. He lives today, and Mormons focus on the Living Christ. “And so, because our Savior lives, we do not use the symbol of His death as the symbol of our faith. But what shall we use? No sign, no work of art, no representation of form is adequate to express the glory and the wonder of the Living Christ. He told us what that symbol should be when He said, “If ye love me, keep my commandments” (John 14:15). And so, while Mormons respect those who choose the cross as a sacred symbol of their faith, Mormons don’t want someone to say, “Oh, she’s a Christian. She’s wearing a cross.” They would rather people say, “She’s a Christian—she lives the teachings of Christ. 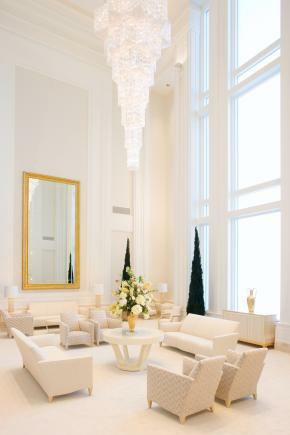 It is harder for people to recognize Christianity in a life than in a symbol, and so Mormons must live to a high standard to demonstrate whose life they are honoring. There were a number of important aspects of the Savior’s gift to us, and the cross is only one of them. Before we were born, He covenanted to be our Savior, and to give those gifts that only He could give and through which we can be saved. In Gethsemane, the Savior suffered the sorrows of mankind before He died on the cross. This was, although done for all the world, an intensely personal act, because He suffered for each of us individually, voluntarily, and out of great personal love for each person for whom He suffered. He walked into the Garden freely and remained freely, even when the suffering was intense. Jesus Christ was placed on the cross through Judas’ betrayal and the wickedness of men. He could not, of course, have been taken there had He not been willing to go, nor could He have been kept on the cross had He not wanted to die for us. The atonement had to have been done voluntarily in order for it to have meaning. 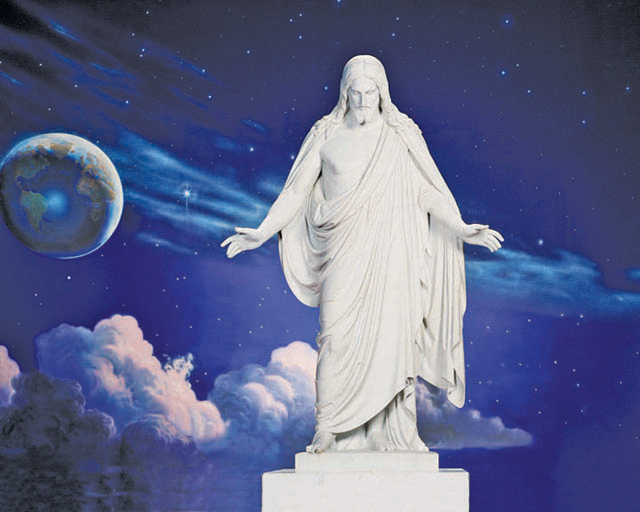 For Mormons, it is the sum of Jesus’ life—His pre-mortal life and creations, His birth, His ministry, His atoning acts in the Garden of Gethsemane, His death on the cross, His resurrection, and His eternal love that make up the entire message of the Savior. His life, His ability to rise from the dead, and the work that He continues to do for us today—we celebrate all of this and then make our lives a symbol of our faith in order to honor to Him and to thank Him for His gifts. The meaning of the cross for Latter-day Saints. I am thinking that I do not accept your Book of Mormon based upon archeological evidence that does not support your book (metal, DNA, Biological, Historical) and there are several places in the bible that warns about adding to its content. That being said I accept your right to worship and have the utmost respect for your culture and values and I do not protest you and I try to respect your positions.. The only problem I have had with your society is a general feeling of malaise towards non Mormons being included in your lives. I notice our children are a bit shunned and left out because we are Protestants and we get a general feeling that Mormon Parents do not like the children (non Mormons and Mormons)getting too close and it becomes less about honesty and more about ignoring rather than addressing issues and it becomes very hurtful to the children because they are innocent. This seems to be a big complaint in our neighborhood and it reflects poorly on a church that thrives on perception. I believe we (Christians around here) are inclusive of your members despite our differences and I think the Mormon family clandestine segregation shows a lack of integrity and I fear it comes down from the top to the Bishops to The Elders etc etc. I have seen this happen not only among Mormons but other religions, especially when they are in the majority in a certain location or have little experience with people of other faiths. We raised our family all over the world, and people of all faiths and cultures have been part of that journey. 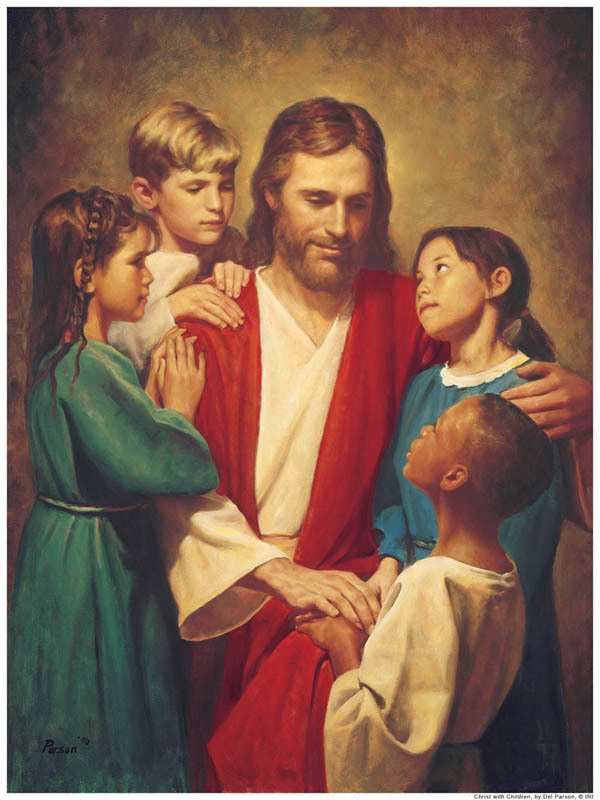 We have always encouraged our children to reach out to everyone, not just Mormons. However, we have had some born-again Christians refuse to allow their children to associated with us or enter our “cursed” home. So it’s not just Mormons. That said, the Church acknowledges this insular behavior and is trying to get rid of it. Please know that with our lay clergy, all active Mormons have jobs (unpaid) in the Church that keep us very busy and necessarily interacting with each other to perform these duties. Some of get that done and have little time left to enjoy life in the community around us. That is unfortunate, and we are being reminded to change it. I’m sorry your kids have been marginalized by insular Mormons and hope that changes soon. I thought about the archeology, DNA issues, etc., regarding the validity of the Mormon Church. I had to stop and ask myself if I was being hypocritical when it was only in the 1990s that there was solid proof that even Pilate existed. It is still debated if King David even existed. Really, it comes down to prayer and faith between you and the Heavenly Father. God bless you for being honest about how you feel. I cannot say anything about the children thing, I have absolutely no experience in that area. I can say I will always be more sensitive regarding non-Mormons because I don’t want anyone to feel the way you described and it would be a shameful thing. I can tell you, it is not a church doctrine at all, probably people being human. We all make mistakes but I’m glad I read this, it is very important. You are a wonderful sweetheart. Your response was very loving and Christlike. You warmed my heart with smiles! The best way to know if the book of Mormon is true is to ask God who gives wisdom and inspiration to those who seek him. Pray sincerely and ask for his guidance on the matter, and you will know if the book of Mormon is true or not ! Hello All. I am studying Comparative Religion and I am looking into Mormonism. I was very intrigued with this article. As far as Mormon’s rejecting the Cross as a Christian symbol I believe that it is their right to believe what they want without persecution. Protestant’s could just as easily charge Mormon’s with Occultism because of the Pagan/Masonic/Occultist symbols on the Salt Lake Temple. Also we could ask why Mormon’s take water for communion instead of the “fruit of the vine” as Jesus taught(Mk. 14:25). I would suggest to my LDS friends that they should tread very gently in dealing with the fact that Christians most highly identify with the symbol of the Cross in connections with our Savior. It would be as if we would disparage he statue of the Angel Moroni that adorns your meeting houses across the land. Thank you for hearing my point of view. Peace to you all. Thanks for your thoughtful comment, Henry. I apologize for the misunderstanding around the comment, “’Oh, she’s a Christian. She’s wearing a cross.’ They would rather people say, ‘She’s a Christian—she lives the teachings of Christ,’” This was in no way meant as a dig on followers of Christ who choose to wear the cross to show their devotion. Mormons do not have a corner on the devotion market. I don’t believe that Christ cares which symbols we use to show that we follow Him. Our hearts and actions are the true signs of our devotion. Early Christians used the Ichthys, or fish symbol, to show that they were followers of Christ. They also used it to discreetly show the locations of meetings and tombs to avoid persecution from the Roman Empire. Likewise, the ancient symbols that can be found on The Salt Lake Temple, do not prove occultism or syncretism in the Mormon faith. These symbols don’t mean the same thing to us as they did in previous generations. I also don’t think that the type of emblems we use in our sacrament services define us. As long as we take the sacrament while remembering Christ and His atoning sacrifice for us, we will be blessed with His spirit. Let us come together as disciples of Jesus Christ and share our faith that He is, “the way, the truth, and the life,” with a world that is increasingly in need of His light. The correspondence between Henry and tjones1971 demonstrates that we can all easily become defensive of our faith and of those things we see as symbolic of them. Although Henry merely made suggestions of LDS faith symbols Christians could question, tjones1971 responded by pointing out another controversial Christian symbol and defending each LDS one that he mentioned. Truly the last sentence of tjones1971’s response could have been all that was said. But everything it was prefaced by took away from it. But I agree fully that we all need to come together to share the Light of Jesus with the world. I disagree with you, Jamie. I feel tjones was merely trying to clarify or answer Henry’s concerns. I don’t read her response as defensive as much as having an educated diplomatic discussion and making her point about how various signs mean different things even within the same groups but at different times. Why does the picture of Jesus depict him as white? Regarding crucifixes and crosses (apparently the first bears the figure of Jesus on it), I grew up in an ultra conservative Fundamentalist Christian church and we did not have pictures of Jesus, nor did our church have any crosses outside or inside. The rationale? We saw the cross/crucifix as symbols equating to ‘idols’. We didn’t even celebrate Christmas with Christmas trees or gift-giving as the tree is seen as a pagan symbol and the gift-giving took away from the sacrifice of Christ. As to why Jesus is more often than not depicted as ‘White’, is political. If Jesus were truly depicted as he would have been, he’d be very dark-skinned with very Middle Eastern features (Middle Eastern Jew). That would not go over well with a lot of North Americans. I am a Mormon, I go to services at my ward every Saturday and I wear a cross my Catholic Mother gave me long ago. Recently my mother passed away and the Relief Society woman in my ward all wore a cross to the service in support of me. That is why I love my faith and my colleagues from our ward and stake. God bless us all! This is a wonderful story. Thank you for sharing it.